Covering throughout Redruth and the surrounding areas, H and R windows install many different types of Upvc windows. With over 25 years experience in the industry we are able to install windows of your choice without the hassle and stress placed on you. Upvc windows in Redruth are very popular as they improve the warmth and security of a property, decreasing your monthly utility bills and increasing your property value. There are a huge range of Upvc windows available in varying styles, colours and grades so before you purchase it is best to do your homework to make sure you are choosing the right windows for your home. H and R windows offer a free no obligation quoting service alongside free CAD designs to ensure you are happy with your choice. We are based a short distance from Redruth in case you would like to visit our premises to discuss in further detail your exacting needs. All Upvc windows come with a manufacturers guarantee to give you greater confidence in your purchase, coupled with our expertise and high standards H and r windows can fit your new windows for you in a seamless manner without mess and to a pre-agreed time frame. If you live in Redruth or the surrounding areas and are looking to purchase new windows for your property, please contact H and R windows before you have made you decision to allow us the opportunity to show you what we could do for you. H and R windows not only supply and install Upvc windows, we also cater for a wide range of needs, including timber and aluminium frames. Please check out this website for a full range of services on offer and do not hesitate to contact us for a free no obligation quote. H and R windows have had a lot of work recently inc and we have launched a double glazing Helston service that has seen us repair and fit windows in the Helston and Lizard peninsula through the last 2 years. We have been serving west penwith and beyond for well over 10 years and you can view a portfolio of our work by by clicking the here. From February 2014 you can take advantage of H and R Windows free quotes an you can also call us anytime and request information or a call out with no obligation to buy. We also want to announce that those of you living in Helston or the Lizard that are thinking of having Double Glazing or window repair work carried out, you will soon be able to sign up to our company newsletter which will offer all the latest news, offers and discouts from H and R Windows. Remember that all of our work can be bespoke to your home and we can tailor things to suit your budgets as well. We are a local business who take great pride in offering the very best service to Helston and the Lizard at a very affordable rate. Do not compromise of quality and call one of our trained window installers today and we will be more than happy to chat with you about any of your window, conservatory or door fitting needs you require. H and R Windows have been based in Redruth for nearly 5 years. We have a fantastic showroom that is now open in our new office in Baldu so that you can come and see our products. We also have a cad design system that literally allows us to build anything and make it completely bespoke so that it suits your home. 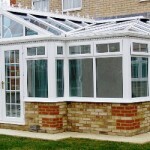 Redruth Conservatories are our specialty. We like to take care of the local community and offer you the very best service. We can build P shaped conservatoires, Edwardian, Victorian, Gabel End and Lean to conservatoires as well and with H and R windows we offer free advice and quotations with absolutely no obligation to buy. If your thinking of have a conservatory in Redruth then you should give us a call and one of our experts can talk to you and will be happy to answer any questions you may have. 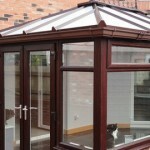 Have a look at our conservatory page as a starting point. If you need anymore info on our Redruth conservatives or our other products, then please do not hesitate to get in touch. Also, we have added a link to a conservatory article that you may find very helpful. We are the best window fitters in Penzance, Cornwall. If you looking for installation in the Penzance area then look no further than H and R windows. We have a team of qualifies experts who will be more than happy to give you a free no obligation quote on any work you are thinking of having done. We have been fitting windows in Penzance for over a decade and some of our most recent work has taken us to the recently storm ruined prom. We offer both a commercial and a residential window fitters service. We have so many types of windows avaiable and they come in double glazing or triple glazing and all our windows are A rated. If your looking to reduce energy bills then maybe you should think about out window fitters Penzance no obligation service. We are always more than happy to come out and see you, but our office is based in Redruth and and we have a cad design system that will be able to take care of all your bespoke needs. Please have a look at our windows page and if you need any further information on window fitters, then please read this very helpful article. 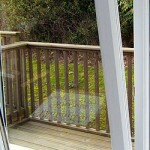 H and R Windows are experienced Falmouth window fitters. We have been trading for well over a decade and have served the town of Falmouth since day one. We come highly recommended by our clients as our testimonial page will outline and we always quote fairly and accurately for any proposed work. If your looking for experienced, reliable and affordable Falmouth window fitters, then look no further than H and R windows. Our team is there to help you every step of the way, i your looking for a complete new look or you are simply looking to repair a crack in a window, we can sure you that no job is to small for H and R windows. Visit our gallery page and check out some of our recent work and if you want a free free no obligation quote do not hesitate to contact Rob and H and R windows today. We are H and R windows and we specialise in St Ives Double glazing. We have worked installing and upgrading commercial and residential windows in St Ives for over a decade. We have improved the windows on a number of letting properties and holiday accommodations, as well as homes for local residents. Our St Ives Double Glazing come to you with a 10 year guarantee and professional installation from our experienced team. 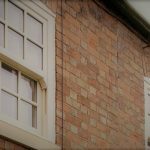 The recent weather has taken it’s toll on the county and it may be time to think about upgrading your current windows. Double Glazing not only adds value to your home, its makes your home energy efficient keeping in warmth and dramatically reducing your energy bills, they are also more secure as all of our windows are installed with state of the art locking mechanisms. We can offer you free information on all of our St Ives Double glazing proposals and our quotes are free with aboslutley no obligation to buy. We also offer a range on doors and conservatories and all of our work is can be completely bespoke to suit the look and feel of your home. There literally is no job we can not complete and no job is to small. We cover everything from a small window crack, all the way up to a full double glazing installation. Contact us today for a free quote. We have been designing and installing Falmouth Conservatoires for well over a decade. H and R Windows are a local company with a vast team of experienced conservatory designers and window fitters based near the out-skirts of Falmouth. All of our work can be designed to suit your home, we take great pride in offering a truly bespoke service unlike no other in Cornwall. If you are looking for a fast, reliable and friendly service, you can be assured that H and R windows will tick all the boxes. Falmouth Conservatoires and conservatoires in the surrounding area, have been a huge part of our business over the last few years. We have built everything from P shaped conservatoires to the more classical Edwardian and Victorian designs. No matter what design you want, H and R windows can deliver. We offer a great service and there is no obligation with one of our quotes. Call us today if you require any further information about conservatoires or our company. You can request a call out or you could even come to our showroom so we can show you first hand some of the fantastic conservatoires we have installed over the years.